Spending Christmas and New Year on the Algarve is a fantastic way to enjoy the festive season. 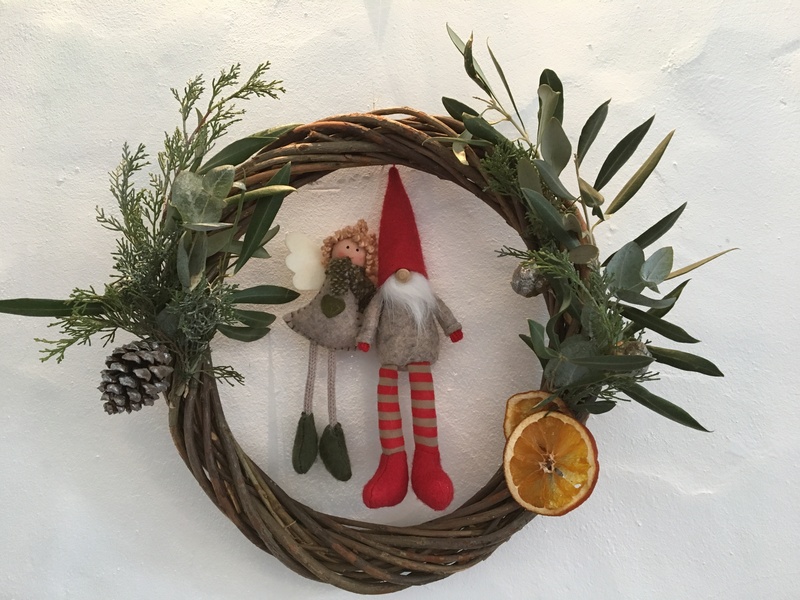 Whether you want to discover more about Portuguese Christmas traditions or you’re simply hoping to escape the British winter, it’s a fabulous alternative Christmas and there’s certainly something for the whole family to enjoy…here’s our round up of some of the festivities and traditions, and a spot of Christmas shopping ideas too! We were lucky enough to catch the fantastical Festival of Light in Loule last weekend. This unique three-day event is the first of its kind in the Algarve bringing together international artists as they showcase their spectacle of illumination. The festival is the brainchild of Loule based lighting designer Beau McClellan, showcasing large scale light installations and interactive displays. We arrived in Loule in the early evening, had a quick drink in the market area and waited for the show to begin. At 7pm the entire market building was completely illuminated with a 15-minute display of colour and sound with amazing special effects. 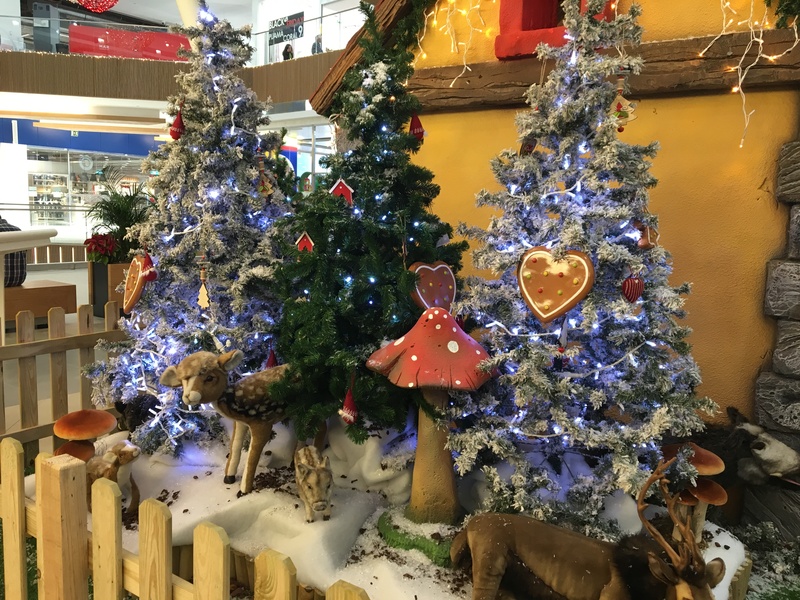 Santa Claus has come to town, visiting the Mar Shopping Mall to maker sure everything is ready for the children here on the Algarve. 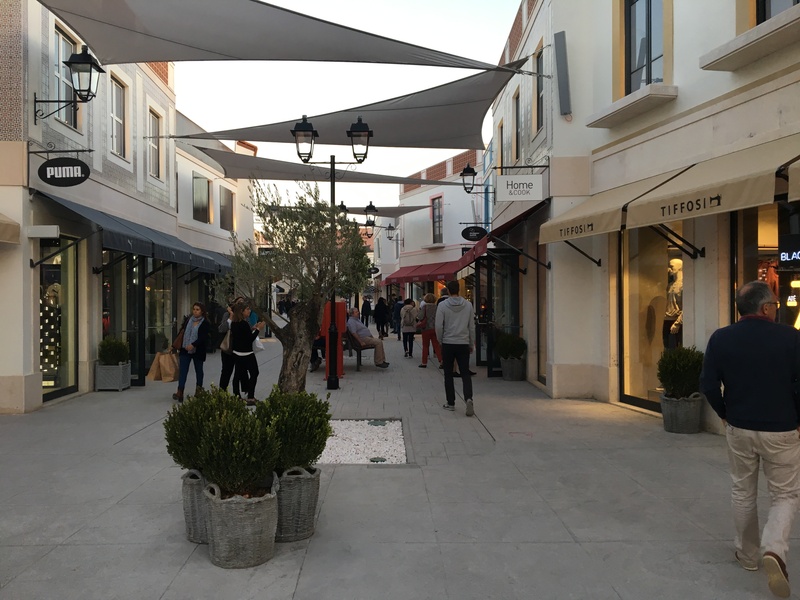 Located just outside Loule, brand new shopping destination, Mar Shopping has recently opened its doors to the Algarve. There’s an IKEA, a Designer Outlet and an amazing number of stores including Primark, Lacoste, Gucci, Rockport, Adidas and Puma appealing to all ages and all budgets. There’s more than 50 designer outlet stores with fantastic brands from men’s and women’s fashion, children’s clothes, lifestyle and sports brands as well as some great kitchen shops and linen stores. After all that shopping you’ll be glad you can refuel at many of the different food outlets, offering all kinds of snacks and meals from Indonesian street food to pizza restaurants. There’s also some lovely cafes for hot chocolate and health food juices and a large cinema where films are shown in English with other languages in sub titles. Celebrating Christmas the Portuguese way! The Portuguese have their main Christmas celebrations on the evening of the 24th December where all family members gather for a special evening meal of Bacalhau (salted cod) and their traditional Christmas cake, Bolo Rei (king cake). The meal tends to finish very late followed by midnight mass. Christmas presents are then given out after the church service at midnight. Christmas Day is a more low-key affair in Portugal and similar to our Boxing Day. Christmas is still a national holiday however, so if you are coming to the Algarve for Christmas make sure you book a restaurant for your Christmas meal. Most of the hotels offer fantastic Christmas fare for lunch and dinner. 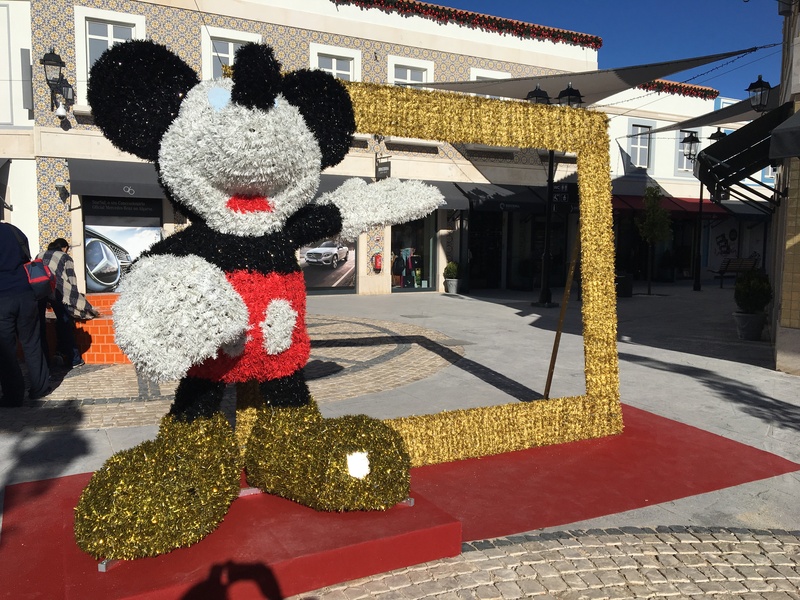 Many of the streets on the Algarve are decorated with Christmas trees and lighting, but it seems to be a tradition in Vale do Lobo and the Quinta areas to decorate the roadways with red Poinsettias. Although Poinsettias are native to Mexico, they are an integral part of our Christmas decorations too. On the Algarve we are lucky enough to be able to use them as outdoor decorations. The story goes…. Pepita was a poor young country girl who was walking to her village one Christmas Eve to pray at the local church’s Nativity scene. She had no money to buy a present to give to the baby Jesus, so she gathered a bunch of wild plants growing by the roadside. Pepita was sad it was such a small gift however, she entered the church and presented her gift to the Nativity and as she did this, her bunch of weeds turned into a glowing bouquet of beautiful red and green leaved plants. The plant is now famously known as Poinsettias which Pepitas descendants called ‘Flor de Noche Buena’. Latterly the first US Ambassador to Mexico, Joel Roberts Poinsett, a botanist visited the Taxco area where these plants can be found and was so taken by them that he shipped them back to America. They were then named after him and have become a Christmas tradition both in Portugal and the UK. So what else is happening this December leading up to New Year? Many Christmas markets are taking place in Vale do Lobo, the Conrad, the Art Cato art gallery and the Algarve Tennis Centre. There’s always plenty of Artisan foods, wines and ports to try, home and fashion accessories and art work for Christmas gifts. If you are feeling brave you could also join in the Holiday Inn Algarve, the Armacao de Perla Charity Swim to help raise money for children’s charities. Info@hialgarve.com. Firework displays take place all along the coast on New Year’s Eve and can been seen for miles. At Albuferia there is also a fabulous open air concert at Fisherman’s beach (Praia dos Pescadores) and all the bars and clubs across the Algarve stay open until the early hours.